The days are still hot, yet there’s the faintest hint of autumn in the air. Around here, that means it’s harvest season for local produce — and our chefs are making the most of it with Xoco’s seasonal menu items. 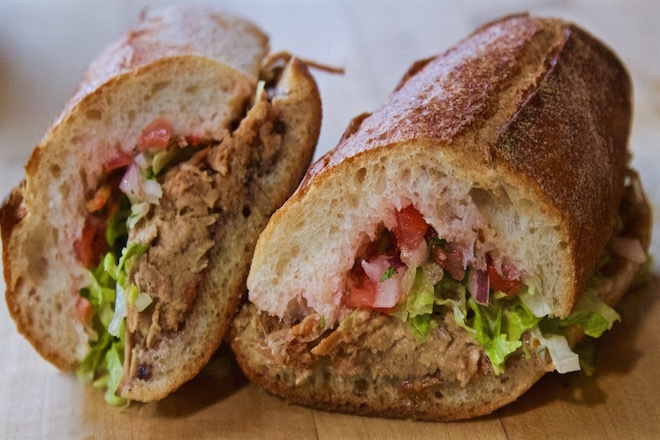 Inspired by his own home garden and farmers’ markets, Chef Julio De Leon has made a Yucatecan Summer Carnitas Torta, packed with pork carnitas and a traditional Maya pico de gallo (called “Xnipek”) that (obviously) features ripe, red tomatoes and habanero chile. 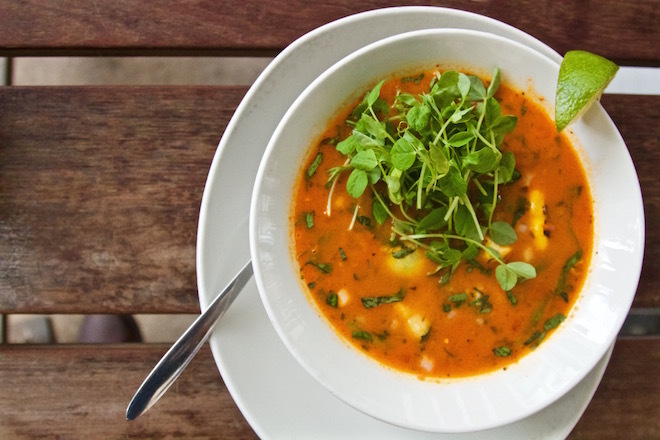 Our end-of-summer caldo features the best the market has to offer packed into one bowl. “We let the vegetables speak for themselves here. This caldo is jammed with tatume squash, green beans, corn — and some grilled Gunthorp Farms chicken — and what you get is nothing short of fantastic. 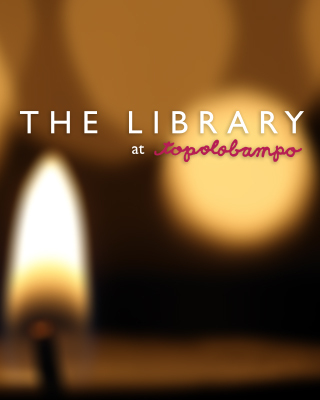 There is so much beauty in simplicity,” Julio says. 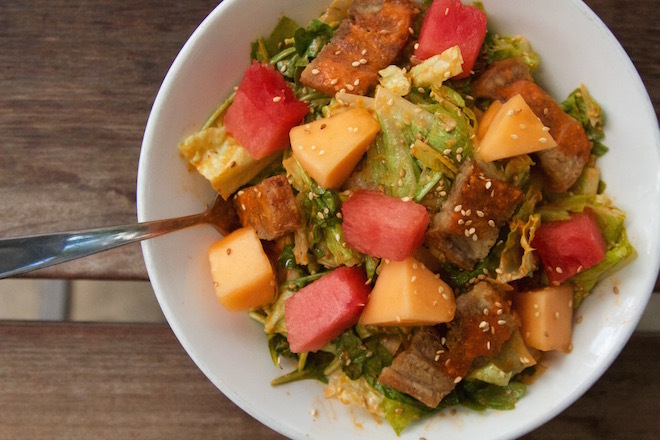 Our spicy pork belly-melon salad, meanwhile, brings salty and sweet to the next level. We’ll give you big ‘ole bowl of romaine & arugula topped with crispy pork belly, melons from our friends at Nichols Farm and Orchard, pickled watermelon rind, sesame seeds and a sweet-smoky-spicy honey chipotle dressing. On the sweet side, Chef Wendy once again dazzles with a Late Summer Empanada, stuffed with pluots (like a plum-apricot hybrid) and cream cheese nestled in the flakiest pastry you ever did taste. 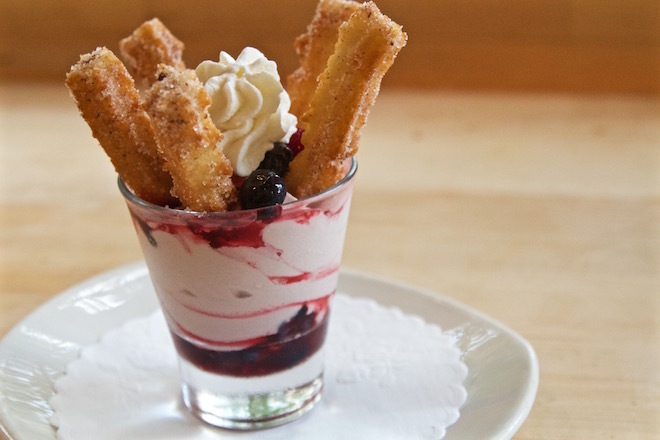 And because XOCO loves you, she’s made a Strawberry-Churros Ice Cream Sundae that’s every bit as delicious as it sounds.